After these events Jesus showed himself again to his disciples at the Sea of Tiberias. This is how he showed himself. They went out and manned the boat but in that night they caught nothing. They threw it and now they lacked the strength to pull it in because of the quantity of fish! Then that disciple whom Jesus loved says to Peter, “It’s the Lord!” And Simon Peter, when he heard that it was the Lord, pulled his cloak around him – he was stripped for work- and threw himself into the sea. But the other disciples came on with the boat, for they were not far from land – maybe a hundred yards- hauling the net of fish. When they got out on dry land, they saw a charcoal fire laid there, with fish laid out on it, and bread. Simon Peter went aboard and dragged the net to the shore, full of big fish, 153 of them, and although there were so many, the net was not torn. Then none of the disciples dared to ask him, “Who are you?” They knew it was the Lord. Any commentary is an impertinence in the face of this supreme instance of gospel narrative. Those who think that every word is historical fact miss the true inspiration of the scripture which is evident in the skill of the narrator who knows that his invention is necessary for the communication of the good news of Jesus. This passage appears to have been added to the original gospel which finished at the end of chapter 20; it may be by the same author or by another hand, but in either case it displays profound understanding of Jesus and human experience. The sea of Tiberias, (Galilee) takes the reader back to the original territory of the gospel, to the springtime of the kingdom, which hints that this event is a second and more joyful springtime, after the dark time of Jesus’ death. 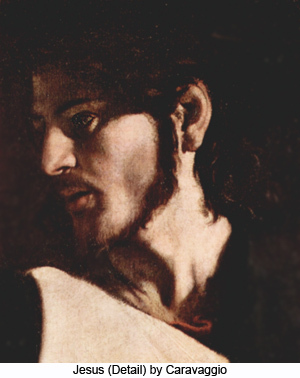 The author mentions that Nathaniel comes from Cana in Galilee, the place of Jesus’ first revelation of himself as the true bridegroom, the Messiah. “In the dawning Jesus stood on the shore.” What shore is this this? It’s the shore between despair and hope, between disease and healing, between violence and peace, between self -destruction and forgiveness, between defeat and victory, between the fixed past and the open future, between hell and heaven. What dawning is this? It is the aliveness of the crucified Jesus apprehended by the awakening trust of disciples, the moment poised on the cusp of human fulfilment. Jesus asks if they have got anything for their own or others’ nourishment, and they admit they have not. Then he tells them that in this new day it’s easy: just throw their nets again, which they do and take a huge catch. The author replays his resurrection story of Peter and the disciple whom Jesus loved: the latter believes first while Peter plunges through the waters of chaos towards his Lord. The food the disciples have hunted is now provided by Jesus himself, in a simple beach picnic, although the fish they have now caught – that is, the fruit of their trust- can be added to what the Lord has provided. I do not know the meaning of the number 153 but I’m sure the author did. On the threshold of a new day Jesus invites his disciples to have breakfast to give them the fuel they will need for the work which must now be done by the Lord and his people. I am aware that the usual interpretation of the fishing is that it means catching people for faith, but I think it is mistaken; and that the relationship of the fishing to the meal provided by Jesus and to Jesus’ command to Peter to feed his sheep, suggests that the main meaning is nourishment.